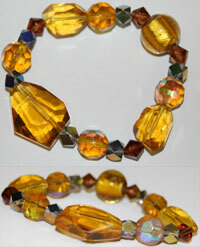 Topaz Stretch Bracelet. Elastic band so one size fits all. Beautiful glass topaz and iridescent beads in different cut shapes.